The holidays are close and you are missing something, it is called comfortable seating. While you and your family are around the dining table this season, you will want everyone to linger. This is the time to catch up, make plans and tell old stories. You can enjoy dessert, tea and wine while conversing with your favorite people in the world, your family. Sitting in a relaxing atmosphere and getting cozy with your loved ones is easier than you think. Upholstered seating is not only a trend in the dining room, it also makes sense. Dining rooms usually have a lot of wood tones which can make it feel dark and unwelcoming. Using upholstered seating is inviting and refreshing. There are plenty of beautiful patterns and solid colors that are sure to make you happy. You may be inclined to use your dining room more often. 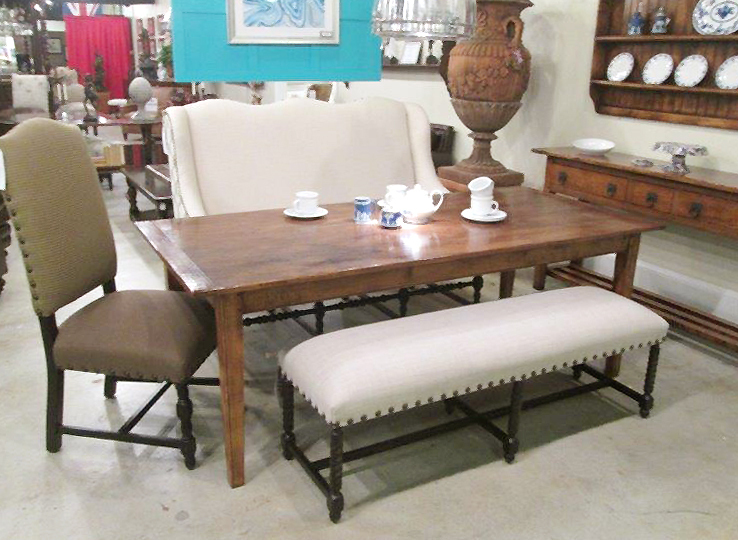 Upholstered seating doesn’t have to be chairs, it can a bench, a banquette or a combination of all of them. All of these are wonderful and engaging options and sure to brighten your home. Be certain to serve you family a homemade delight. Cookies are always a favorite dessert, they are easy to make and serve. Below is Rachel Ray’s Easy Gluten Free chocolate chip cookie recipe. In a medium sized bowl, cream butter and sugar. Add the egg and stir until blended. Slowly add the gluten-free flour, baking soda, baking powder and salt. Drop teaspoon sized cookies onto the prepared baking sheet and bake in preheated oven for about 8 minutes or unit slightly brown and not wet. Let cookies cool for 5 minutes before taking them off the sheet. Remember to make a toast to your loved one who can’t join you this year, it’s not the same as having them right there, but is the next best thing.